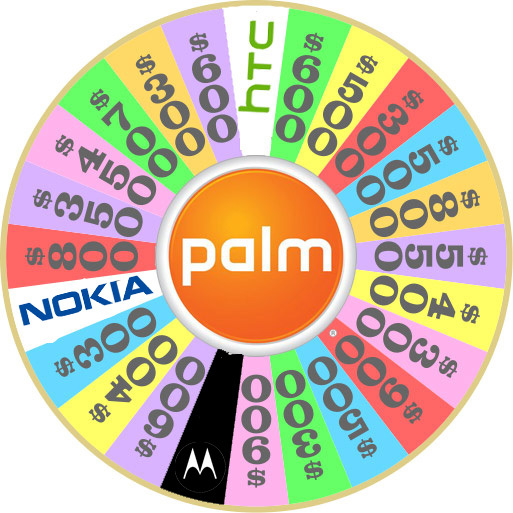 Today’s wheel of Palm lands on Nokia and Motorola. Morgan Stanley has weighed in saying that Nokia and Motorola would derive the most strategic benefit from acquiring Palm. Motorola’s CEO Sanjay Jha has hinted in the past that the company would like it’s own OS. Like HTC, Motorola manufactures phones that are dependent upon Google’s Android OS. Motorola has yet to announce any Windows 7 Phones, but they are expected to join HTC in manufacturing phones running Microsoft’s new OS. “We believe the potential ownership of WebOS would create a more defendable and viable long-term mobile devices business” for Motorola, the Morgan Stanley report said. The analysts also suggested HTC and RIM may also be a “strategic fit”. DELL, Microsoft, Samsung, Lenovo and LG are “possible but likely less interested”. As with all of these reports, there is no hard evidence regarding any of it. Palm hasn’t commented and the companies listed above have all issued a no comment. Editor’s note: Both HTC and Motorola are the most interesting companies, since their current strategy involves manufacturing Android and Windows Phone devices. If they were to purchase Palm, it would likely be for webOS, although one could surmise that HTC could do it strictly for the patent portfolio. This would likely result in a major shift in their strategy. Would they continue to develop phones for Android and Windows? How would the acquisition affect their current relationships with Google and Microsoft? Would they make a bold move and go all in with webOS? These are likely just a few of the questions being bandied if the rumors regarding their interest in Palm is to be believed.